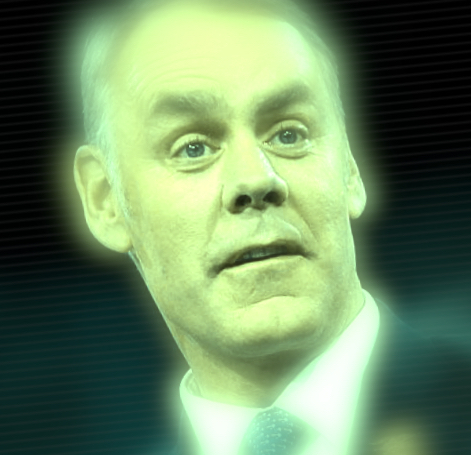 Seems like there is nothing that Zinke & his boss wont un-do! The more damage to our environment – the better. The more extinctions of other species – the better. I sure do hope this monument reduction is found to be illegal. But that hasn’t stopped them yet. By that logic then all the federal lands which are now carrying subsidized livestock grazing should be returned to the public use ONLY, and by extension then you would have no public lands whatsoever for the greater American public outside their own state boundaries. What has long been “taken” is the public, through commercializing public lands in favor of private interests (see the massive annual grazing permit program losses for one example). Nobody “took” land from Utah, which willingly signed away most such claims when it agreed to become a state rather than a territory. The questions about what is state owned and what is federally owned are complex, but even Secretary Zinke is on record today angry about what is being perceived as giving federal lands “back” to Utah — he rightly insists these are still federal (public) lands. iconic landscapes everyone wants to enjoy, not least of them, the legions of foreigners who come here expressly to see the magnificence. Theodore Roosevelt recognized the land appropriation that was happening in the good ol’ days of the Gilded Age, when profiteers were destroying wild land simply because they had the capital to take it. The “Manifest Destiny” mindset of all the other less wealthy wanted to strip the environment to get their piece, too. It was plunder on a massive scale—timber, gold, bison,coal, uranium, silver, salmon, beaver, wolves—a endless list of pristine landscapes and critters waiting to get sucked into the maw of modern consumption. It took a visionary and mind like Roosevelt, and his followers, to stop some of the wholesale destruction. Here’s a simple link for you to get around that difficulty of seeing the genius of his moves—http://www.upworthy.com/9-national-parks-and-monuments-teddy-roosevelt-saved-from-turning-into-parking-lots No, this move by Trump and his cabal is not “well received” by most people, and the truth of it is—lawsuits to stop his handing over our precious wild lands to Big Coal, Mining, Grazing, Solar, and all the other corporate criminals is going to tie up his edicts for years. That is my consolation.